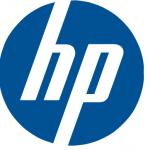 Home » Uncategorized » HP to Enter the Tablet Market Again ? HP to Enter the Tablet Market Again ? I remember buying an HP iPAQ in Hong Kong back in 2003. An amazing little device, hampered by a clunky Windows OS. It was pretty, clean looking, almost elegant. About the size of an iPhone. As I wandered back to my office in the lunchtime heat, I did not realise it, but HP had been developing the PDA concept for a considerable period of time. It could have become an iconic product, it had the potential. I still have it in my personal museum of defunct technology. Along with my Psion Organiser (a long sad uniquely British story of snatching defeat from the jaws of victory). Both bits of kit still work. Were HP Ahead of their time? Very much so. Did they fail to see the potential ? Yes. Since then, HP have been on a rather strange and dark journey – the acquisition and destruction of Palm, the false start of the Touchpad, the ‘lets copy IBM and then set fire to the building’ vision of Léo Apotheker. The HP of today is very different to the one that developed the iPAQ, and more importantly the market they are selling into has changed more than they have. But do you know what ? I really think HP can do it again. However they need more than just hardware – they need an OS, a business application market place and entertainment content. They need to buy companies and they need to forge new alliances. They also need to love what they do and convince the world that the love is real. HP acquire Blackberry and aggressively pursue existing and undiscovered areas of the business market. This needs to be a true mobile device offering comprising tablets and smart phones and specialist devices. The HP laptop team and the tablet team develop a ‘transformer’ style tablet device (hello Asus). A dramatically simplified offering is needed from the business in terms of product line. But HP/BB please be consistent, give products a proper life story and respect them. Think about how Porsche, BMW and AUDI manage their products. Apple understand that really well – if you reinvent everything every 9 months including the product name, look etc then your customers will leave. If you are seen not to love your own product history and legacy, how can you expect your customers to love it’s future ? The new business will need to provide significant investment to get an application market place up and running. It can be done – training, freely available app creation software, HP authored business apps to kick things off. With a clear plan, resources and direction this is all very possible. Create a business solutions cloud – email, storage, applications, solutions. Why let Google have all the fun ? HP develop a content partnership with Sony and the leading 4/ 5 android and iOS developers. They need to study what has been popular over the last 3 years and develop an app pipeline that takes this into account. But do it quickly. Minimise committee formation, time is of the essence. This is where they need to be brave. They have to bring their own operating system to market (cue portentous music). The best that the left overs of Palm/webOS and Blackberry can muster. They must remember to make it easy to use and easy to program. Support their developers, reward them, make them part of the family. Invite the open source followers/disciples/fanatics to the party. HP will not prosper as a maker of Android / Windows compatible mobile devices. They must have their own story to tell. I think HP (with Blackberry in their stable ) can do it. But they need to be bold and make the world understand that they love what they do from the bottom to the top of their business.